Vishay Intertechnology introduced the latest device in its fourth generation of 600 V E Series power MOSFETs. 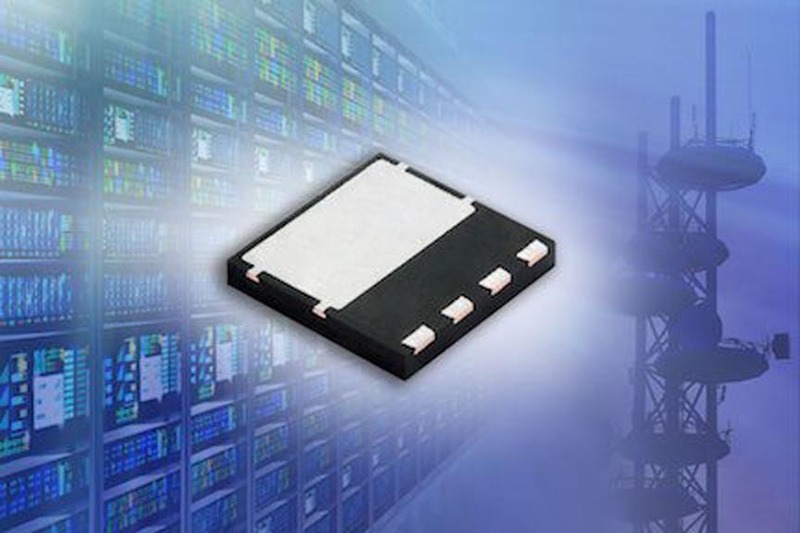 Providing high efficiency for telecom, industrial, and enterprise power supply applications, the Vishay Siliconix n-channel SiHH068N60E slashes on-resistance by 27% compared with previous-generation 600 V E Series MOSFETs, while delivering 60% lower gate charge. This results in the industry’s lowest gate charge times on-resistance for devices in the same class, a key figure of merit (FOM) for 600 V MOSFETs used in power conversion applications. Vishay offers a broad line of MOSFET technologies that support all stages of the power conversion process, from high-voltage inputs to the low-voltage outputs required by the latest electronic systems. With the SiHH068N60E and upcoming devices in the fourth-generation 600 V E Series family, the company is addressing the need for efficiency and power density improvements in the first stages of the power system architecture – power factor correction and hard-switched DC/DC converter topologies. Built on Vishay’s latest energy-efficient E Series superjunction technology, the SiHH068N60E features low typical on-resistance of 0.059 Ω at 10 V and ultra-low gate charge down to 53 nC. The device’s FOM of 3.1 Ω*nC is 12% lower than the closest competing MOSFET in the same class. For improved switching performance, the SiHH068N60E provides low effective output capacitances Co(er) and Co(tr) of 94 pf and 591 pF, respectively. These values translate into reduced conduction and switching losses to save energy. Offered in the PowerPAK® 8×8 package, the device is RoHS-compliant, halogen-free, and designed to withstand overvoltage transients in the avalanche mode with guaranteed limits through 100% UIS testing. Samples and production quantities of the SiHH068N60E are available now, with lead times of 10 weeks.